Once we know the reality that will be very important for us to open up access to the file so that Googlebot have an access, now let’s see how you can find these files and to unblock it. Please log in to Google webmaster tools and then enter the menu Google indexs » Blocked Resources, then if you got warning message Googlebot cannot access your files, you will find in the list of blocked resources. You can also find a list of resources blocked at the bottom of the menu. 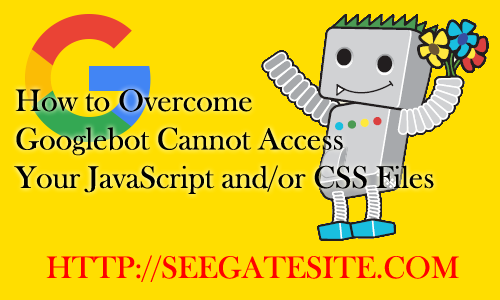 If you look at your robots.txt file is empty but you still got warning “Googlebot cannot access your CSS and JS files” on your webmaster tools, it is likely that your hosting provider to block the access to WordPress default folder. You can change this in robots.txt so that Googlebot can access to the blocked folders.